Bring your family and friends. Sample a wide variety of home-made chili. 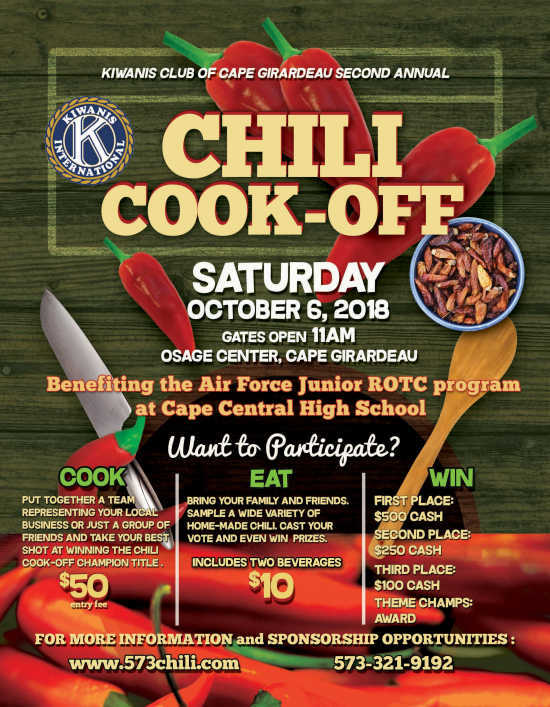 Cast your vote and even win prizes.Benefiting the Air Force Junior ROTC program at Cape Central High School.